The Hi-Bak HB1812 professional mopping bucket features a dual compartment mopping unit allowing an 18 litre clean water container and separate dirty water section to the rear of the unit. Aluminium 48 inch mop handle with a screw fitting. 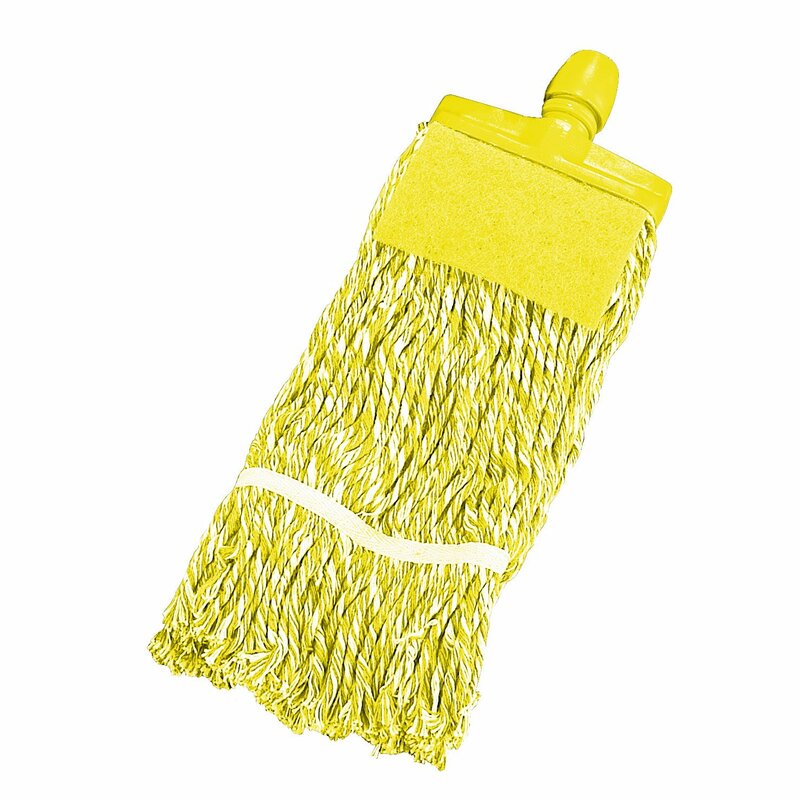 The completely disposable one size mop and holder. 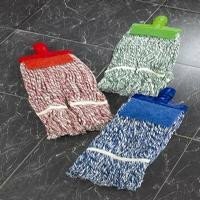 Finest quality multi-fold 450grm (16oz) cotton yarn, entwined with colour coded thread, stay flat cut-end finish bonded onto a colour coded plastic mop holder, with a universal handle adaptor. 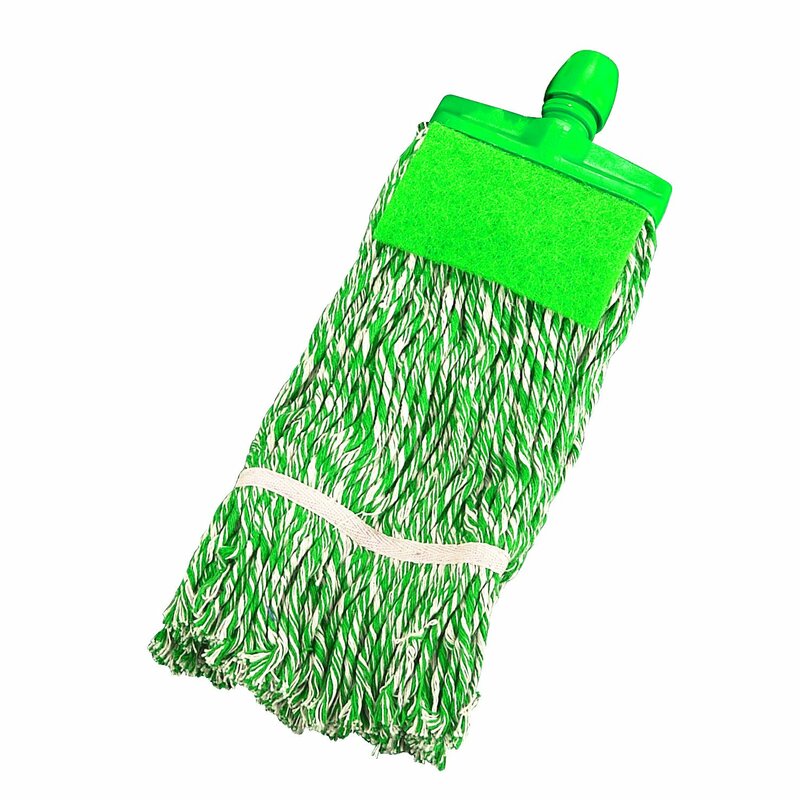 Featuring an abrasive pad to help remove stubborn dirt, stains and rubber marks when mopping. 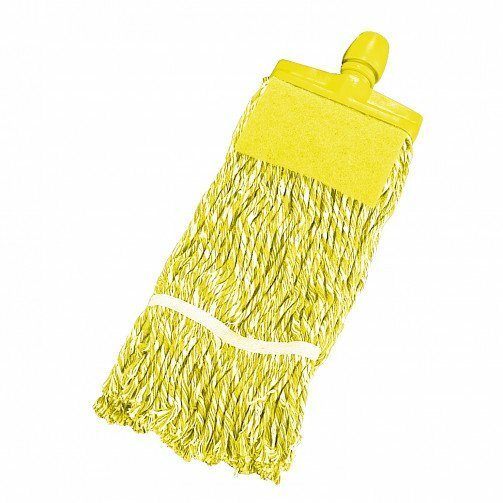 When the mop needs replacing just unscrew it and responsibly dispose of it and then fit a new mop head onto the handle. This choice of colours allows the operative to use specific colours for particular areas, thus avoiding the problems of cross contamination. Blue for general lower risk areas (not including food areas).